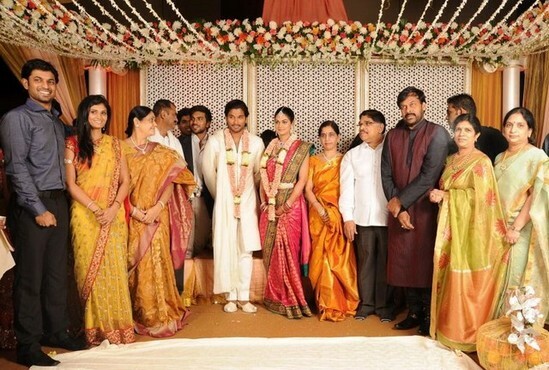 Telugu actor Allu Arjun got engaged to Sneha Reddy, engagement took place at Hotel Novotel on the night of 26 November. Engagement was attended by Chiranjeevi, Mohan Babu, Nagarjuna and other celebrities. Allu Arjun is the nephew of Praja Rajyam Party leader and leading Telugu actor Chiranjeevi. Pawan Kalyan and Renu Desai Got Married – At Last!